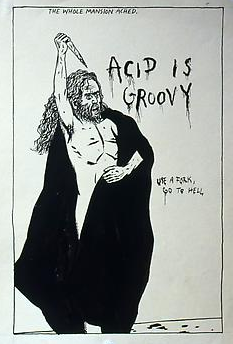 The work of Swedish artists Leif Elggren and Thomas Liljenberg is difficult to sum up succinctly, but I'm going to try anyway. Both are multi-disciplinary conceptual artists who have produced sound, text, performance, and visual art who are concerned with issues of politics, government, and dreams (among other obsessions). You may know Elggren as one of the co-monarchs (?!) of the Kingdoms of Elgaland-Vargaland, a state that has annexed all borderlands (physical and mental) as its territory. You can actually write to the kings to order a passport, declare yourself a Minister, and set up a (temporary) embassy. Obviously, these guys have a dry, biting sense of humor. Possibly my favorite of their projects began as a book titled "Experiment With Dreams", in which they wrote letters to celebrities and politicians accusing them of stealing ideas from their dreams and demanding financial restitution. 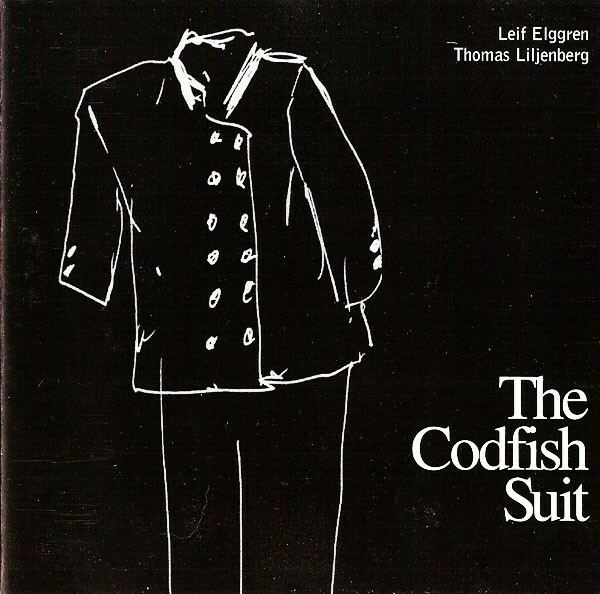 This CD, "The Codfish Suit", consists of the authors reading from their book. 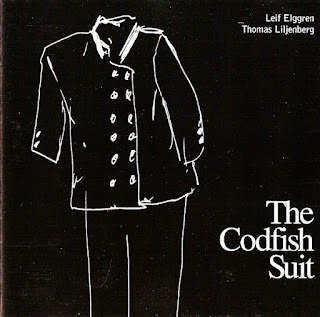 It was published in 1997 by Elggren's magnificent label Firework Editions.